In today’s world of competition and global connectivity, the art of performance and preparations doing before hand, plays a vital role. Let’s talk about, What’s so special about these festivals which we celebrate during whole Month Of August and It’s importance. Let’s Begin The Fun ! Friendship Day, 2018 was embarked on 5th of August with overwhelming love and affection between true real friends ! People spend time with their friends and express love for them. Exchange of Friendship Day Gifts like flowers, cards and wrist bands is a popular tradition of this occasion. On 15th August 1947, India was liberated from the trammel of The British Empire. After 200 years of colonisation, India awoke into Independence by the ceaseless and gallant efforts of our freedom fighters. We, as citizens of India, owe our existence and Freedom to the martyrs who sacrificed their own lives for our felicity. We remember the hardships that our forefathers faced to attain Independence and promise ourselves to become better individuals and a strongly united country facing all challenges and reaching greater heights of success and progress. As a tribute to their valour, let’s begin the celebration and add glory to the day ! This festival is originated from The State “Rajasthan”. Haryali Teej is a Hindu fasting observed by Hindu women. It is dedicated to Goddess Parvati. The festival continues three days and is celebrated by women in honor of Parvati Ma. It is one of three Teej festivals and most popularly celebrated in the Northern and western parts of India. The main puja (religious ceremony) takes place with offerings of flowers, fruits, etc., made to Shiva and his wife goddess Parvati, beseeching them to grant their blessing upon the husband and family. The important part of the puja is the oil lamp which should be alight throughout the night. Raksha Bandhan is one of the most popular festival celebrated in India. It’s significance is huge in our country as it’s dedicated to the love of sister and brother. It’s the most awaited festival for all the sisters and brothers. It holds immense importance in Hinduism. The name of the festival, Raksha Bandhan is made up of two words, Raksha (Protection) and Bandhan (Relation). On this day, a sister ties a sacred thread called ‘Rakhi’ around her brother’s wrist while the brother undertakes an oath to protect his sister throughout her life. He promise to be with her through thick and thin. I Would Like To Thanks Both of them for having this fun carnival for us and giving this opportunity to work along ! Guys do check her awesome Fitness & Complete Lifestyle Blog. Happy Raksha Bandhan To You All. Enjoy this festive season wholeheartedly ! Yes, August month is full of festivals, occasion . me and my family is foodie and with these festival , we get chance to stuffed my tummy with delight sweets. august is a month of celebrations not just cause of so many festivals, but also cause there are so many birthdays in our family and friends. 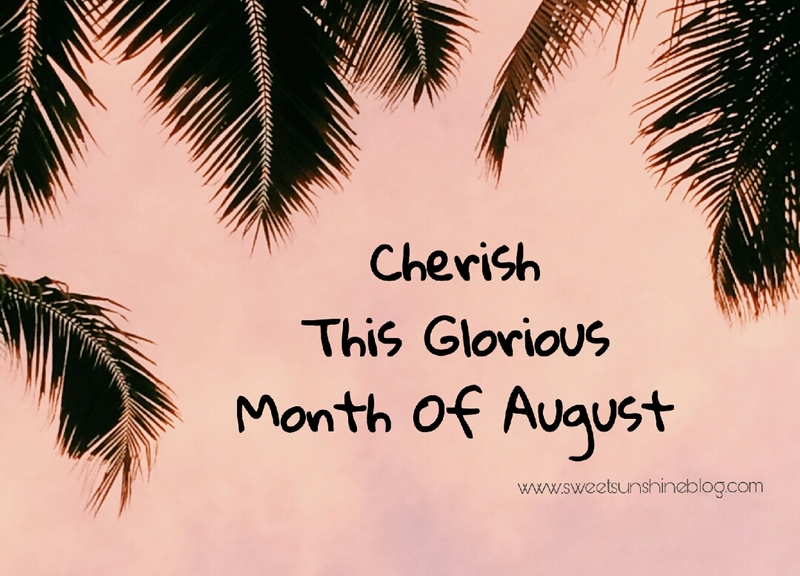 Yes August was jam packed and things surely go well with preparations.